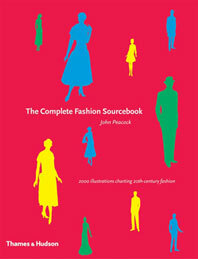 Fashion Sourcebooks is a series of beautifully illustrated paperbacks presenting the costume drawings of John Peacock. 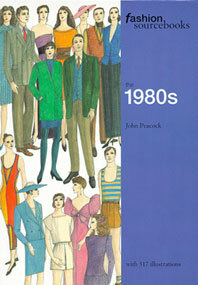 The series charts the development of women’s and men’s clothing from 1900 onwards, with a volume devoted to the fashions of each decade. 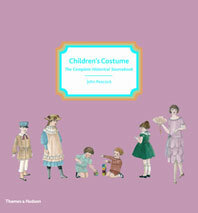 John Peacock’s Fashion Sourcebooks are destined to become an indispensable part of the library of any fashion enthusiast, historian, or collector, and are sure to provide inspiration to any designer or student working in the performing arts. 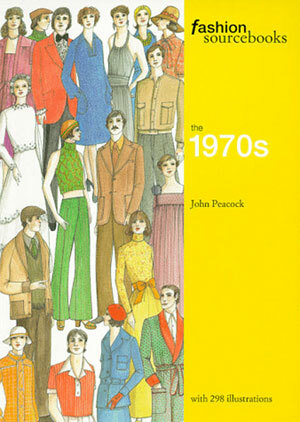 Fashion in the 1970s grew increasingly individualistic. The ethnic look flourished. 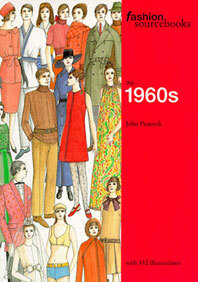 Colors became bolder and brighter, and loose, baggy clothes were introduced. 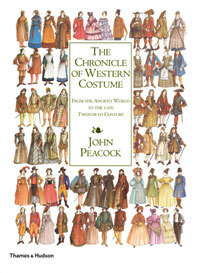 Women’s skirts gradually lengthened and became more flowing, while men’s dress incorporated frilled or patterned shirts, wide ties, and embroidered waistcoats. 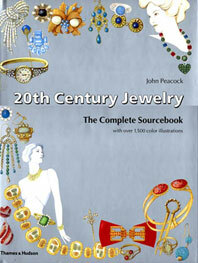 Flared pants were worn by both sexes.